There was a time when the term eco-friendly evoked a feeling of boring or “blah.” However, that is not the case anymore. As people become more environmentally responsible, sustainable building practices rise in popularity and more often than ever, home and business owners alike are seeing the benefits that eco-friendly and sustainable flooring options have. Not only does sustainable flooring give you peace of mind knowing you’re doing your part in making Earth a better place, but it also saves you money in the long run. Choosing sustainable products for your home also means selecting an option that is high quality and built to last. If you’re planning to update your floors, consider any one of these many sustainable flooring options. Cork is relatively new to the sustainable flooring world as it is usually seen on walls or in your favorite bottle of wine. However, cork is harvested from the bark of the cork oak tree commonly found in the forests of the Mediterranean and the trees are not cut down to harvest the bark which makes it a great renewable material for floors. Cork also has anti-microbial properties that reduce allergens in the home, is fire retardant, and is easy to maintain over the years. Depending on the quality, the average cost of cork flooring is between $1.50 and $4 per square foot and can last you anywhere between 10-30 years. Bamboo flooring is another sustainable flooring option that is gaining popularity. Bamboo is made from natural vegetation that grows to maturity in three to five years, which makes it not only sustainable, but durable, easy to maintain, and easy to install. Bamboo also comes in many hues that will work in any setting or decor and with its varied grains and array of colors, bamboo actually has an edge over traditional flooring by allowing for incomparable customization. The average cost of bamboo flooring is between $2 and $5 per square foot. When people think of linoleum flooring, vinyl tends to be the first thing to come to mind. However, the two are nowhere close to each other. While linoleum isn’t new to the flooring market, vinyl stole some of its favor when it was first introduced. Now, as linoleum begins to reemerge, architects and designers are finding new ways to use it in flooring projects thanks to its array of bright colors and a sealer to protect it from stains. Made from linseed oil, cork dust, tree resins, wood flour, pigments, and ground limestone, linoleum is biodegradable, non-toxic, and can be used with other recycled materials to create a sustainable floor that looks amazing. The average cost of linoleum flooring is between $2 and $5 per square foot and has the potential to last for 25-40 years. Another renewable source that is quickly becoming a wonderful option for floors is glass tiling. Glass tiling has similar benefits of other eco-friendly materials in that it is non-absorptive, won’t mildew or mold in damp environments, is easy to maintain, and won’t stain. Glass tiling also comes in a limitless variety of colors, patterns, and finishes that are great for most design schemes and glass tiling will also reflect light rather than absorb it which can add additional lighting to rooms. The average cost of glass tiling is between $35 and $100 per square foot. An unlikely sustainable flooring material that is gaining popularity is concrete. While concrete is typically slab on grade and used as a subflooring in some residential settings, if it is polished and tinted to the homeowners taste and style, you don’t actually need traditional flooring to be put over it. Concrete is also extremely durable, easy to clean, and lasts the longest out of all the flooring options so it never needs to be replaced outside of occasional repairs. 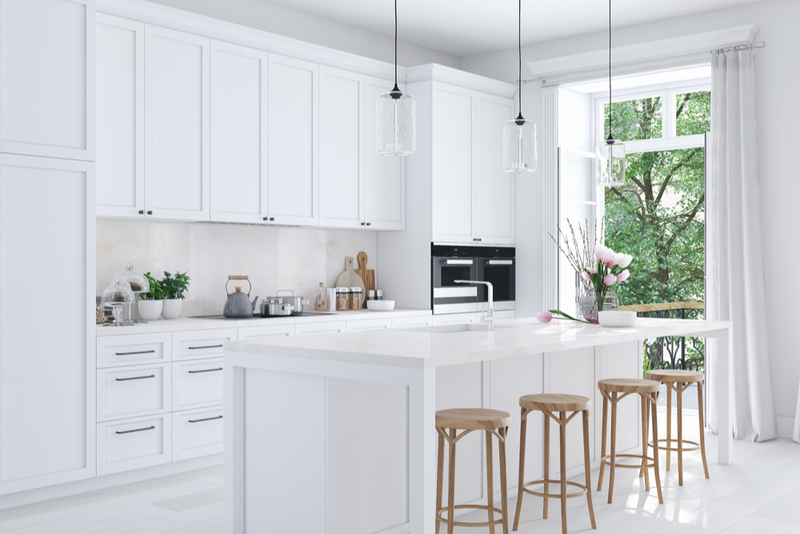 You can even choose to coat it and give it a look that will warm up the room, but be sure to choose a sealant that is eco-friendly. To no surprise, carpet has long been a favorite for most homes, but wool carpet now provides you a sustainable option. Wool carpet is a natural resource spun into a thread that can be dyed in any color and then woven to create a carpet. It is soft to walk on, comfortable to sit on, comes in a range of colors and patterns, and can last centuries. Be sure to research the brand of wool carpet provider to ensure they are sourcing responsibly, as it is sourced from sheep. The good news, however, is that sheep regrow their coats annually and sheering is hygienic and painless for the animals. Another sustainable carpet to consider is polyester (P.E.T.) Berber carpet. Made from recycled plastic bottles P.E.T. Berber carpet has a minimal impact on the environment. P.E.T. Berber carpet is also durable, spill resistant, and comes in a variety of colors and patterns, making it suitable to most room schemes. Overall, P.E.T. Berber carpet is a very economical material and deserves honest consideration. While this option is usually found in local gyms or playgrounds, rubber flooring made from recycled tires is slowly finding its way into the flooring market of homes and businesses alike as a versatile, beautiful, and long lasting option. It is great to walk on, water resistant, and also comes in many color and pattern options. We know what you’re thinking and, yes, leather is a surprising material that can also be used as flooring. Derived from the center-most part of the cowhide, leather flooring is thicker than the leather pieces used for clothing and apparel. While leather flooring isn’t great for bathrooms, kitchens, or other moist areas of a home, it is, however, perfect for bedrooms, closets, and small areas with little foot traffic thanks to its soft warm feel under your foot. Leather flooring is very durable and will wear well over time as aged leather develops a style of its own. As many of you might, if you have your heart set on hardwood flooring, reclaimed wood is an ideal sustainable option as it reuses existing wood from trees that were chopped down a very long time ago or came from other flooring or building applications. Reclaimed hardwood flooring is a unique feature to have in your home or business as it will literally never look like anyone else’s. Using these materials cuts down on significant waste and prevents the cutting of a living tree. Reclaimed hardwood flooring looks just beautiful in older homes or in a beach cottage as traditional hardwood and reclaimed hardwood that is FSC (Forest Stewardship Council) certified ensures that it came from responsibly managed forests. Last, but not least, laminate flooring is also a great green option. Rather than harvesting rain forest species, laminate flooring is created with a photograph of these species and produced with a core of wood that is generally harvested from managed forests. If you want to ensure an even more sustainable profile for your laminate floor, check to make sure that the core material is harvested from forests managed according to FSC standards. Any laminate manufacturer or salesperson should be able to provide information on whether the flooring is FSC compliant. If you are interested in replacing your traditional flooring with a more sustainable option, contact the experts at Windows Floors & Decor today! 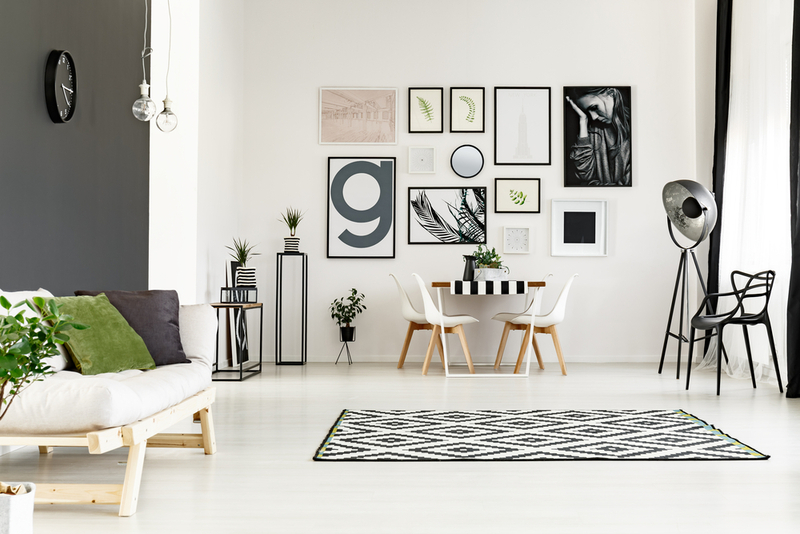 If you need a little inspiration for your living room wall decor and aren’t sure where to start, there are a few things you can do to make the process a little less overwhelming. If you find yourself moving through your house like a zombie, it's time to redecorate. Boost mood and reduce stress with these decor tips. 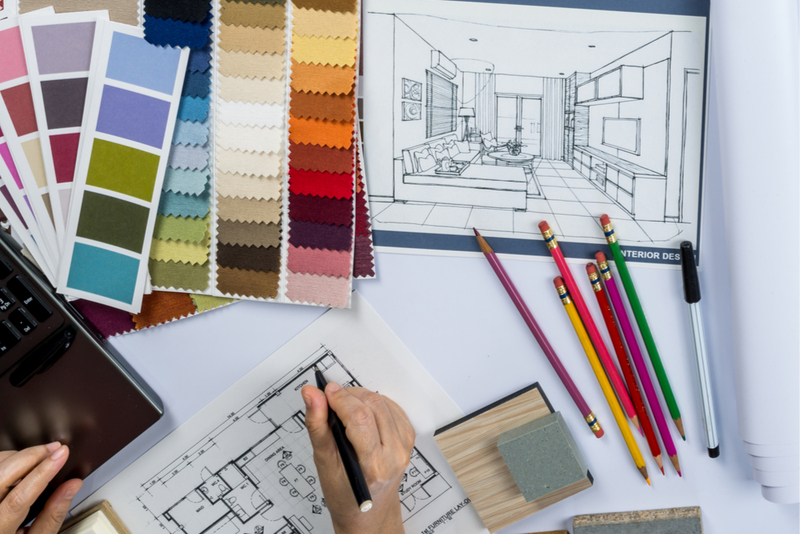 Request a Professional Design Consultation at your Home or Office today!